An Apu , A god or supreme being. The spirit of the sacred mountain; the most powerful of all nature spirits.A light being that exists within special mountains. These spirits live in both the middle and upper worlds, and can intercede for humanity. This special handbag is truly a Historyc piece.Using the same ancient material from the Inca Empire time. Sheep wool handbag from Cuzco APU, an sport and practical accessory, very strong and made of peruvian wool that let you carry on all your things in a comfortable way. It is preferred by travelers and students. There are several , design, and colors. It is a great gift for friends and family , this Sheep wool handbag from Cuzco APU is high quality at low price, and the best is free shipping .You can start collecting the Incastreasures bags. 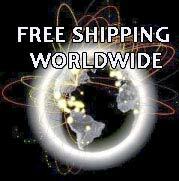 We will add a free gift with your Sheep wool handbag from Cuzco APU . The most original gift , by fair trade artisans, no animals were harmed to make this Handmade Handbag.